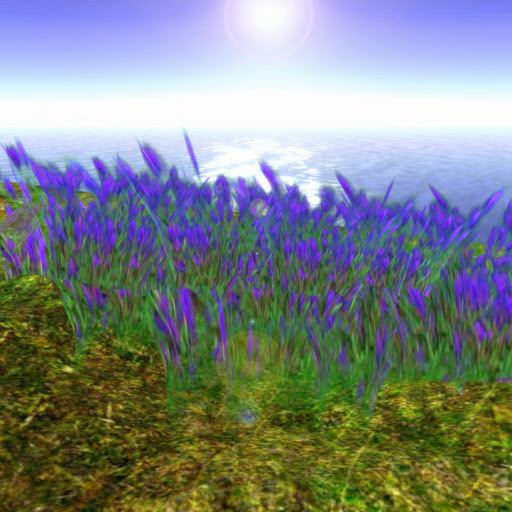 Purple Flowers Fields Landscaping Looking for Lavenders? 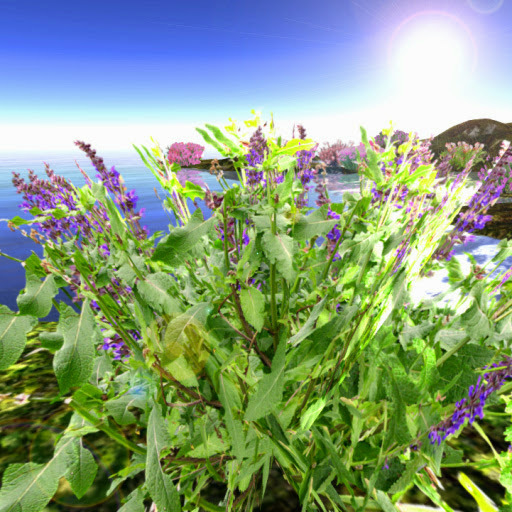 Perfectly recreated for SL, this Lavender is known to be hardy and drought resistant, thus can be planted and included with plants of the same toughness or with dry season-themed sims.1 prim of beauty all yours to grab! Purple Flowers Fields LandscapingSculpted in stunning accuracy,our item is known in many names such as Busy Lizzie or Touch-me-not, modelled with small trumpet-like droopy flowers in powder pink colors to add colors to your garden or homes. Moving Flowers Fields LandscapingField flowers full of Amaryllis in red inflorescence enthalling anyone who sees its splendor! Made from 1 prim of accurate recreation of the ornamental, this item will surely captivate everyone with its red splendor! Moving Flowers Fields LandscapingOrnametal like no other! Residents of Anshe Chung Sims and partner estates will definitely rjoice to this well-sculpted item up for grabs for free! Featuring a small field of Amaryllis flowers swaying its showy red inflorescence for everyone to see. 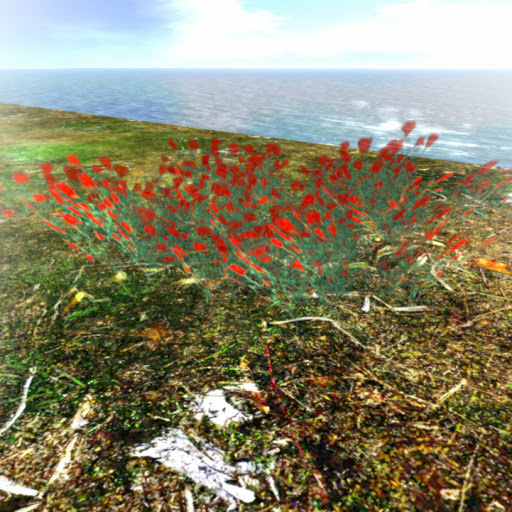 Moving Flowers Fields LandscapingCreated in just a prim of realistic item, we present to our SL clients this Amaryllis Flower fields blooming in a fiery red color for its flowers, enthalling anyone who sees its splendor. Moving Flowers Fields LandscapingSingle prim of large, Lily-like trumpet blooms on tall, straight stem, with a base of strappy leaves and a bright red flowers, Amaryllis truly epitomizes an excellent ornamental. Free for ACS tenants! 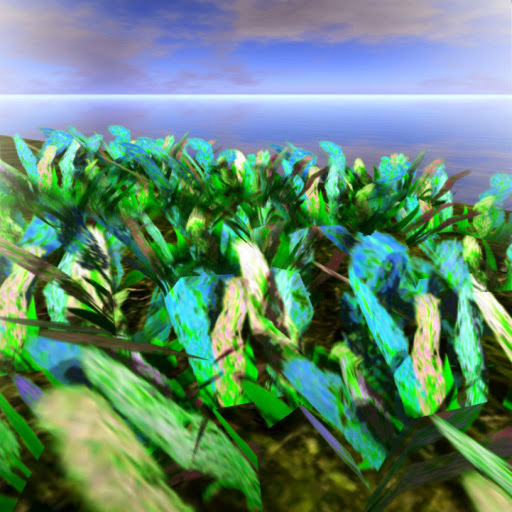 Moving Flowers Fields LandscapingGrasses that creates a mix of hues resembling a rainbow, our sculpt is composed of two varieties of an ornamental plant characterized by oblong leaves in green color and a unique combination of blue and pink spikelets. 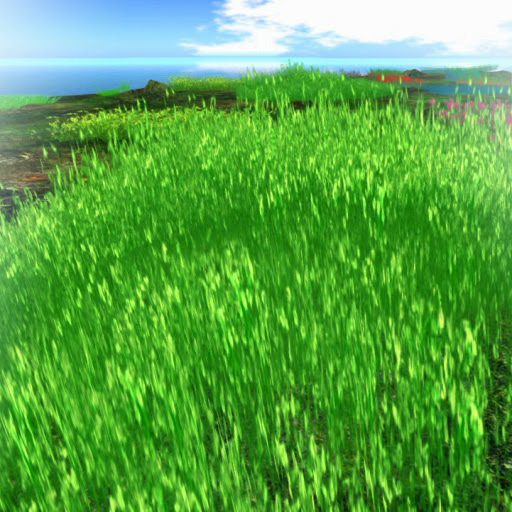 Moving Flowers Fields LandscapingIn creating an estate that simulates the Prairie or Savanna, our Buffalo Grass will surely stand out! Buffalo Grass is a perennial, warm season grass species popular as garden groundcover beacause of its hardy nature. Absolutely free to all our beloved residents of Anshe Chung Sims and partner estates. 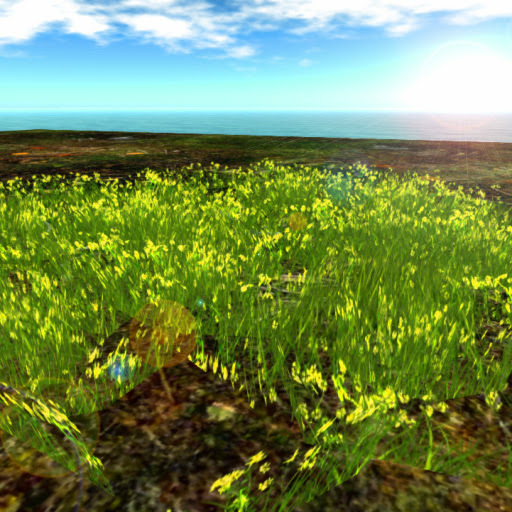 Moving Flowers Fields LandscapingNow is your chance to own Sunflowers... and lots of it! Rendered in light green leaves and stems with bright yellow flowers, this crescent-shaped patch of sunflowers are ready to be your prime ornamental piece in your homes! Absolutely free to all our beloved residents of Anshe Chung Sims and partner estates. Moving Flowers Fields LandscapingSloping areas are a bit hard to decorate, fortunately, ACS got you covered! 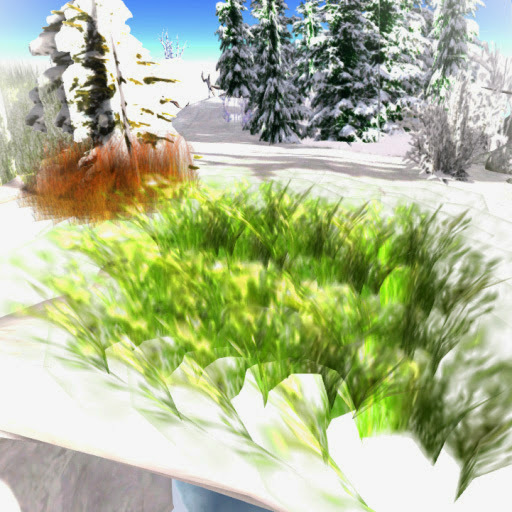 For this purpose, this life-like sculpt of a patch of Foxtail grass in dark green to yellow color leaning to the left side; designed for sloping grounds, our item is offered free for ACS tenants. 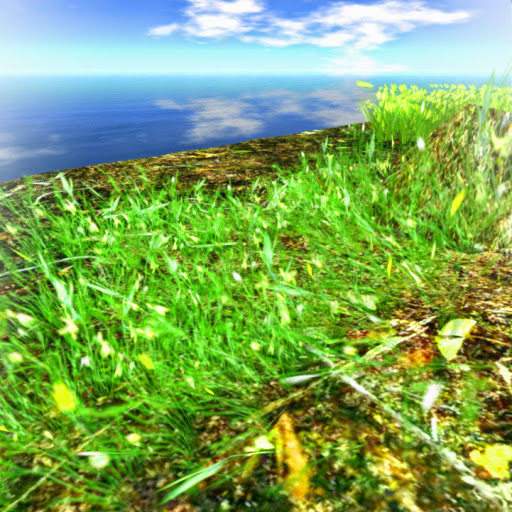 Moving Flowers Fields LandscapingGrasses looks very attractive in their lush green leaf blades and stalk but when flowers bloom, especially in yellow the sight is extremely fascinating! 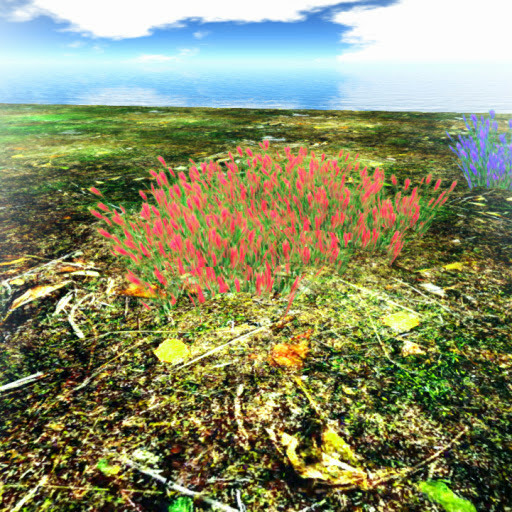 Now this beautiful scene can be all yours in one rezz, just take this item now! 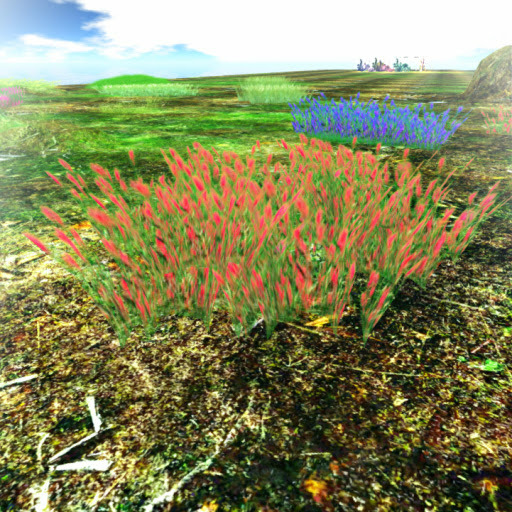 Moving Flowers Fields LandscapingSmear some color into your estate! Featuring this 2 prims of circular patch of grass medium in size characterized by gentle sloping leaf blades tinted with yellow, almost touching the soil. 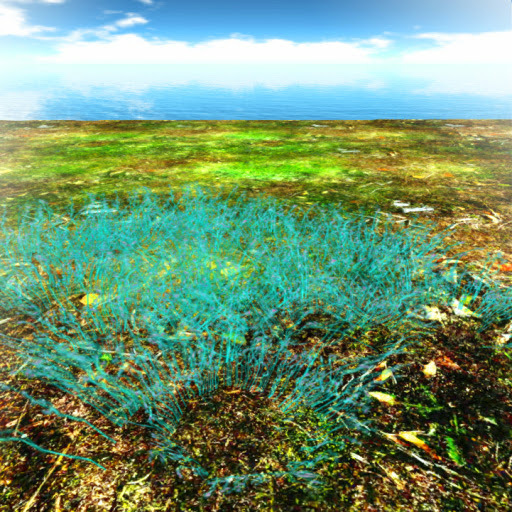 Moving Flowers Fields LandscapingBuffalo grass patch all up for grabs! 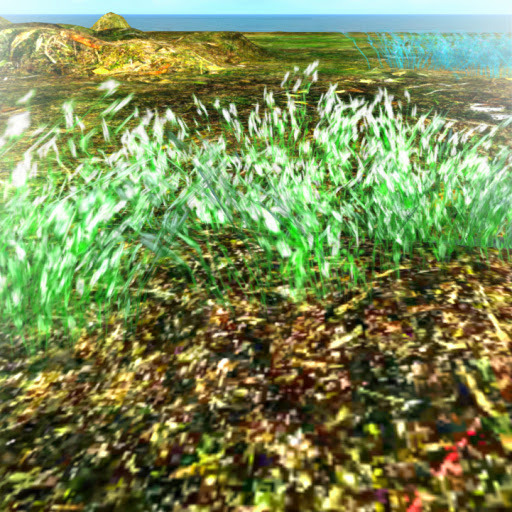 Work up your estate and rezz our Buffalo grass with its flowers in a small clump, all for just 1 prim! Good for filling small areas as groundcover. Moving Flowers Fields LandscapingDaisies are simple yet sophisticated and are some of the most beautiful flowers in the floral world. 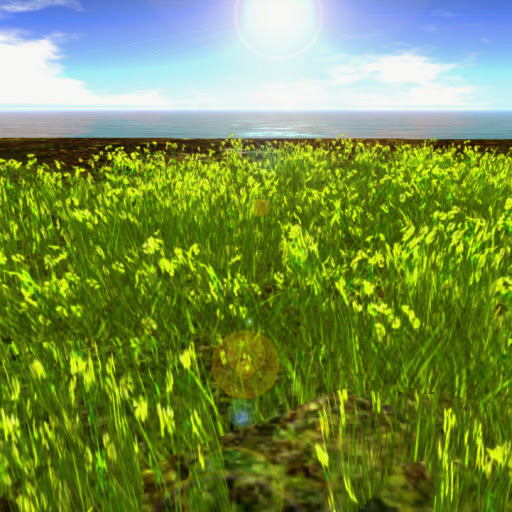 A field of Daisies in combination with tall grasses on a large circular patch with white and yellow inflorescence. 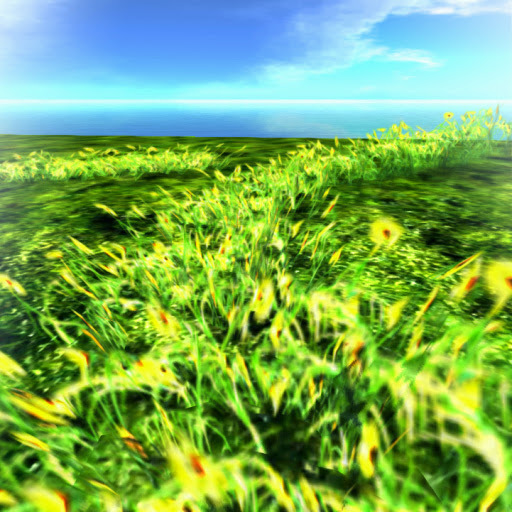 Moving Flowers Fields LandscapingCan't get enough of grass? we neither! Thin and sparsely arranged patch of Buffalo Grass for gardens and parks in need of just the right amount of groundcover. The news is that its for free to ACS tenants! Moving Flowers Fields LandscapingAnother excellent grassfield to choose from! Featuring sculpt of sparse circular field of tall and thin grasses with small and yellow daisy-like flowers rendered to yield an astonishing realism. Absolutely free to all our beloved residents of Anshe Chung Sims and partner estates. 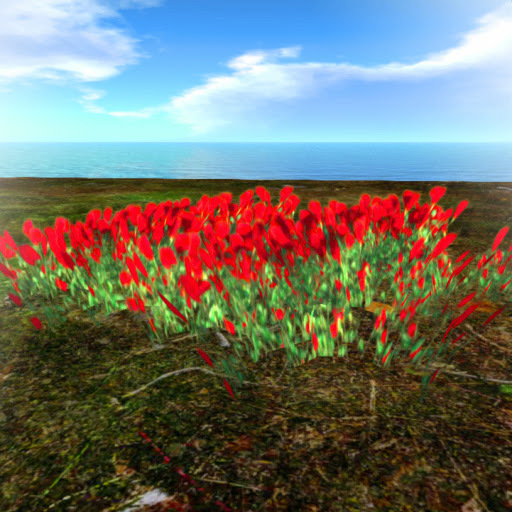 Moving Flowers Fields LandscapingBreathtaking version of the Amaryllis right at your doorstep! In hues of royal blue,sculpted to a stunningly real item sure to make your estate stand out from the rest! Flowers are rendered in yellow inflorescence to further grab attention as well as provide a refreshing sight. Moving Flowers Fields LandscapingUsed as an accent or specimen plant, and admired as an excellent ornamental grass, our Fountain grass field is further decorated with a stunning lavender to blue hued flowers set on a large patch for maximum effect. 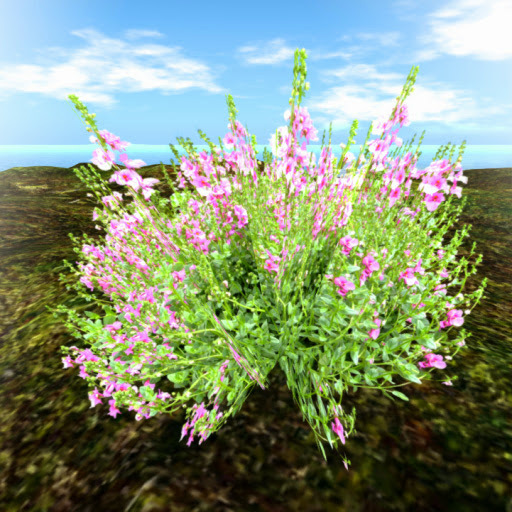 Moving Flowers Fields LandscapingLong blooming, plume-like flowers held on tall, stiff stalks, Astilbes are highly prized for their feathery flowers and used to light up the garden with colors. Now, this diminutive plant is here! 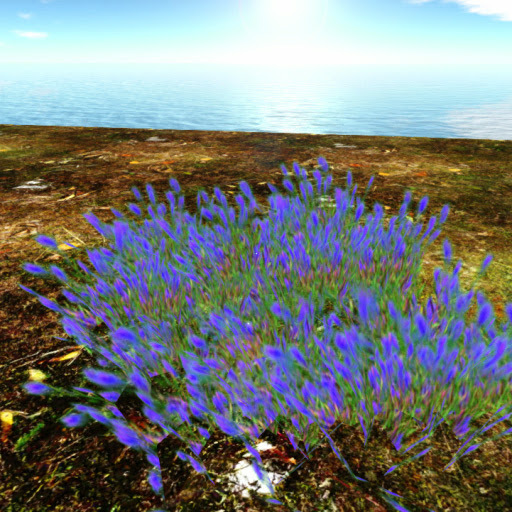 Accurately recreated Astilbes shaded in navy blue, our 2 prim masterpiece is up for grabs! Free for ACS tenants! Moving Flowers Fields LandscapingOne of the most beloved of the ornamental grass in a different twist! 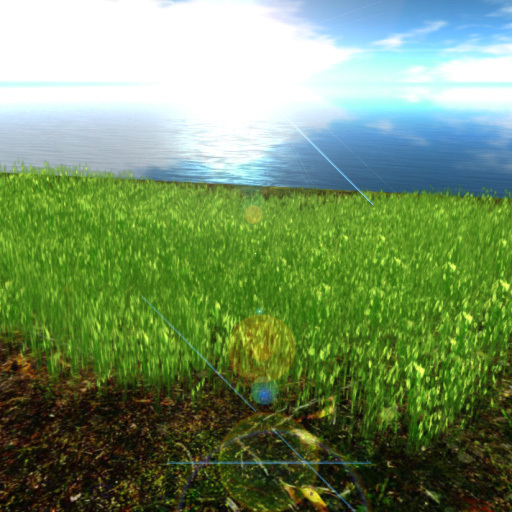 Single prim of exact copy of the Fountain grass spread on a field scripted with moving animations to spice up its realism. 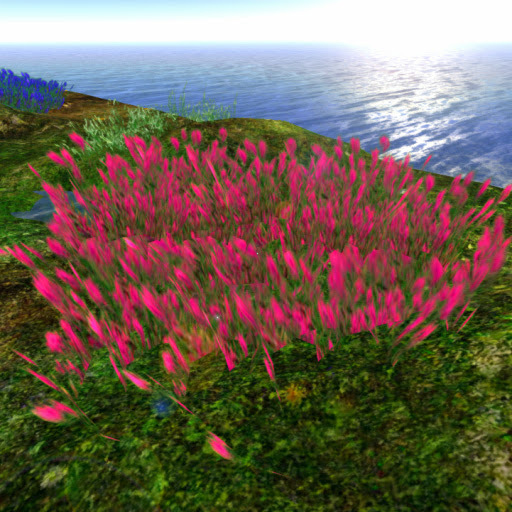 The grass is crowned with fuschia-colored flowers to make its general look funky.